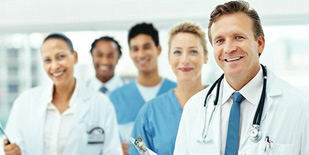 The core focus of the Patients Medical Practice is to treat the entire person. Preventative health care programs are offered to existing patients or new patients who want to learn how to make changes in their lifestyle and nutrition in order to support a robust, healthy life. Our mission is to inspire and empower our clients to live extraordinary lives by nourishing themselves from the inside out. Our goal is to clear up the confusion surrounding healthy diets and lifestyle, and to promote disease prevention. We support our clients by helping them discover a personalized, natural way of eating that meets their health goals while providing them with the energy to enjoy a wonderful life. The positive changes they make are integrated into their lifestyle, address their unique needs, and are sustainable. Whether you are seeking treatment for a complex medical condition, need guidance with weight loss, or would like general information on improving your overall health, you will leave your initial appointment with useful knowledge you can immediately implement into your life. Patients Medical offers a variety of nutritional program options to meet your needs. Some clients set up an initial consultation and then schedule individual follow-up appointments as required. Others request a full program with pre-scheduled follow-up meetings. Some choose phone consultations as their schedules do not accommodate regular office visits. We encourage you to commit to a program up front. It ensures ample time for you to obtain the support you need to develop the habits necessary to achieve and maintain your results, and it is cost effective. Whatever your preference we will tailor a healthy nutrition and lifestyle plan to meet your specific needs, with full collaboration with your physicians and therapists when appropriate. We recognize that modern society presents many challenges to a healthy lifestyle. At Patients Medical we are continually developing services aimed at education, prevention, and proactive health care to compliment our medical group services. Many conditions are best addressed using integrative medicine. We work with each patient on a case-by-case basis to determine the optimal approach to achieve the maximum benefit. Individualized programs include services by specialists in conventional and alternative medicine, internal medicine, endocrinology, infertility, gynecology, dermatology, acupuncture, massage, nutrition, weight loss, behavior and lifestyle changes, personal training, fitness and overall wellness. We believe that education is an important tool in creating and maintaining a healthy working environment. We will work with any business looking for ways to improve their employees' health. Group programs can include educational seminars on addressing and overcoming poor health habits, weight loss programs, nutrition and wellness programs, lunch and learns, health screenings, contests, spa services, and company health and wellness fairs. Programs can be customized to address each company's specific needs. Customized individual programs are also available. The primary focus of our Executive Health Program is the accurate and early diagnosis of health problems such as heart disease, high blood pressure, diabetes, obesity, cancer, stroke, and high cholesterol in order to maximize health results. 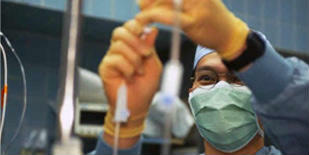 Our medical assessment includes extensive lab and radiological testing with state of the art equipment and facilities. We couple the diagnosis with behavioral, nutritional, and lifestyle counseling and education to help you achieve and maintain your health goals. We have further distinguished ourselves by expanding our vision to incorporate wellness strategies and prevention into the Executive Examination Program. In accordance with this philosophy we offer a nutrition coaching option in our core executive exam package. It consists of an evaluation by a nutritionist, setting health goals, development of a customized program, and the education material necessary to optimize the health of each executive. We also provide you with fitness, behavioral, and stress management assessments, all part of our preventative holistic approach to medicine. Our recommendation is for subsequent evaluations to occur on an ongoing basis. Our nutritionist and physicians collaborate on each patient, keeping extensive records, and will build an individualized curriculum of nutrition and wellness education for each person over time.